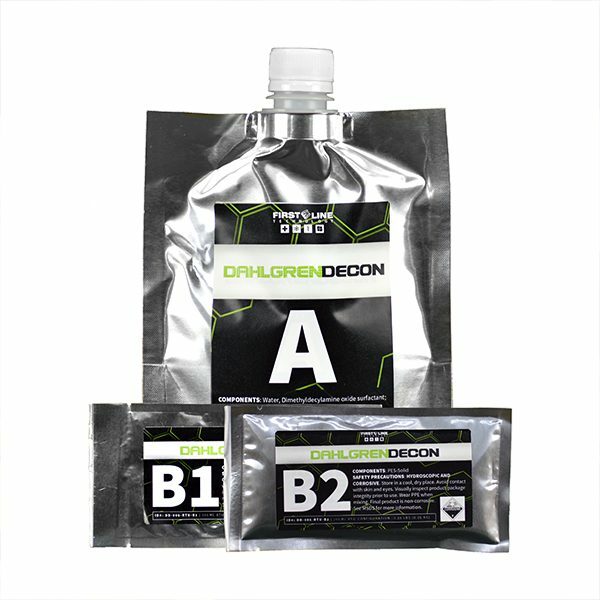 Dahlgren Decon is a three-component solution that can immediately decontaminate chemical and biological warfare agents. 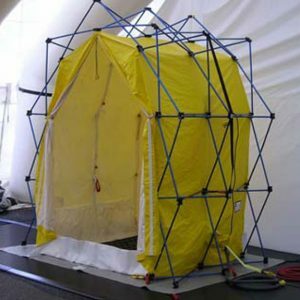 Dahlgren Decon can be used on personal protective equipment (PPE), equipment, and critical infrastructure. 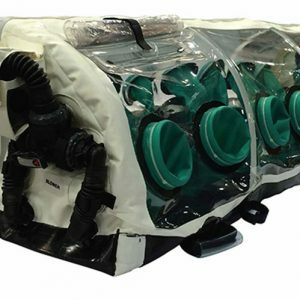 Dahlgren Decon has at least a five-year shelf life in storage and will be efficacious for at least six hours after being mixed with any available water source – fresh water, salt water, and brackish water are all proven effective. Live-agent testing indicates that the surfactant based decontamination formula with Dalhgren Decon is capable of 100% neutralization of HD in less than 2 minutes, 100% neutralization of GD in 5 minutes, and approximately 95% neutralization of VX in 15 minutes with no toxic byproducts observed.